Office Space - Franklin, Pennsylvania. A strategic position in downtown Franklin means that this high-quality office space is easily to reach and well connected. 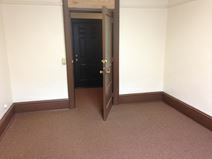 A variety of suites are available to suit businesses of various sizes. Just a block from the County Courthouse, and surrounded by a variety of local businesses.